Over the years there have been many books published about the Kennedy family, individually and collectively. But only this audio book provides a powerful and detailed look at the complex relationships shared between the three women who were not born Kennedy but who married into the family: Jackie Bouvier, Ethel Skakel, and Joan Bennett. For each of the Kennedy wives, the Camelot years provided an entirely different experience of life lessons. These were the years when Jackie's dreams became reality, but at a hefty price. For Ethel, these were years of frustration where her dreams of being First Lady were dashed and she sank into a deep depression. For Joan, her years as a Kennedy wife were the most confusing of her life, and she is now a recovering alcoholic. This fascinating story is set against a panorama of explosive American history, as the women cope with Jack's and Bobby's alleged affairs with Marilyn Monroe, their tragic assassinations, and other tragedies and scandals. Whether dealing with their husbands' blatant infidelities, stumping for their many political campaigns, touring the world to promote their family's legacy or raising their children, the Kennedy wives did it all with grace, style, and dignity. 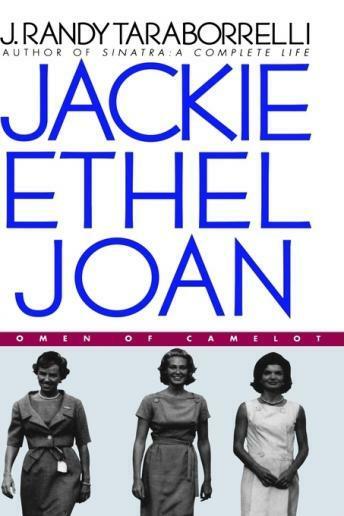 In the end, JACKIE, ETHEL, JOAN is a story of redemption and great courage.